President Poroshenko is not a strong leader capable of implementing his own strategy, and on many key issues he is forced to depend on other people’s opinion, both inside and abroad, Stephen Cohen, a scholar of Russian studies at Princeton University and New York University, said during the recent John Batchelor Show — a radio news magazine hosted by American author and radio personality John Batchelor. Implementing the hard-won Minsk accords may prove a near-impossible task for Poroshenko given the number of dyed-in-the-wool ultranationalists now in high places in Kiev in the wake of the recent parliamentary elections. These people will under no circumstances talk to the pro-independence forces in Donbas. Moreover, the radical Right Sector organization said loud and clear that they did not recognize the terms of the ceasefire agreed in Minsk. The leaders of the volunteer battalions are no less determined to fight to the bitter end. 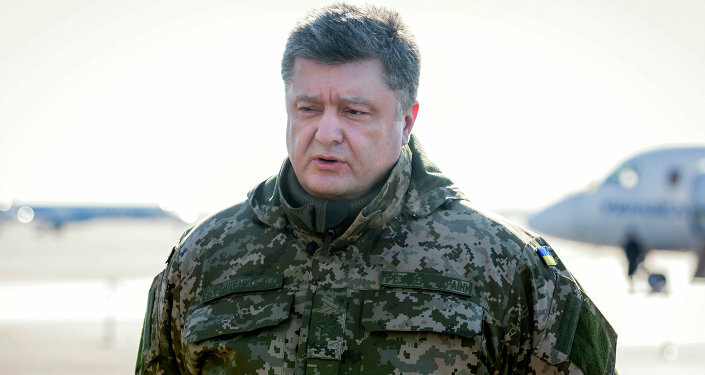 Hard as Poroshenko is trying to picture the Debaltseve debacle as a victory, few people are ready to buy it. The battalion commanders openly challenge the authority of their Commander-in-Chief, who, in turn, can do nothing about it because he and his government depend much on the volunteer units fighting in Donbas. Whether there is a “fascist coup” now brewing in Kiev is hard to say, but the great deal of power wielded by the radicals is something Poroshenko and his friends in the US and the EU should really worry about, Stephen Cohen warned. He sees Ukrainian Prime Minister Arseniy Yatsenyuk as the most viable candidate to replace Poroshenko. In a telephone linkup with the US Ambassador in Kiev, Geoffrey Pyatt, early last year Assistant Secretary of State for European and Eurasian Affairs Victoria Nuland mentioned Yatsenyuk as a good choice for Ukrainian Prime Minister. Stephen Cohen believes that Washington still holds Yatsenyuk in very high regard as a man who knows how the economy works and could become the “IMF’s man” in Kiev. What makes the present Ukrainian prime minister even more attractive to Washington is his hardline stance toward Moscow and a desire to build a wall around Ukraine to “defend” it from Russia, Stephen Cohen emphasized.